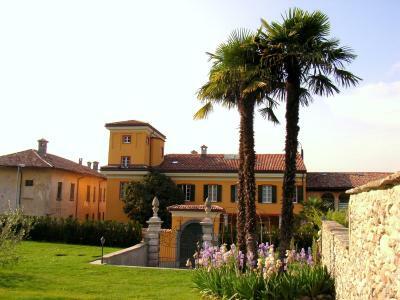 Lock in a great price for Guesthouse Castello di Brusata – rated 9.1 by recent guests! Especially historical background of the building and environment. Tranquility and peace of the place. Great landlords, great hospitality! Very very nice place! Perfect breakfast. I really loved the charm this place had. The owners did a great job at renovating the building. And they are really nice and interesting people. I was really glad I chose this place to stay. Sehr freundlicher Gastgeber, wenn Chic mit Freundlichkeit verbunden wird. Sehr nette Gastgeber - sehr bemüht. Super toller Garten. Wir hatten eine "kleine" Wohnung für uns im Dachgeschoss - 2 Zimmer - 2 Bäder und ein Wohnzimmer. Wirklich prima. Ein sehr freundlicher Empfang und das feine Frühstück im schönen Garten. Sehr freundlicher Gastgeber. Ruhige Lage, familiäre Stimmung. Super freundlich Gastgeber. Sehr familiär. Wir hatten den Pool für uns alleine. Guesthouse Castello di Brusata This rating is a reflection of how the property compares to the industry standard when it comes to price, facilities and services available. It's based on a self-evaluation by the property. Use this rating to help choose your stay! 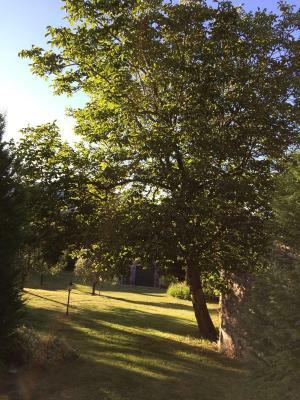 Located in the picturesque Ticinese village of Novazzano, this cozy, family-run guest house is located on the top floor of a historic building. The 4 bedrooms of Guest house Castello di Brusata are elegantly simple and comfortable. Each has its own bathroom complete with shower or tub. There is a common living room with TVs, sofas, and a coffee and tea corner. A garden with large outdoor swimming pool is surrounding the guest house. Activities like hiking and mountain biking are possible in the surrounding area. Nearby are the Generoso and UNESCO-protected San Giorgio Mountains with their characteristic small villages and towns. A bus station with connections to Chiasso and Mendrisio is located right in front of the property. 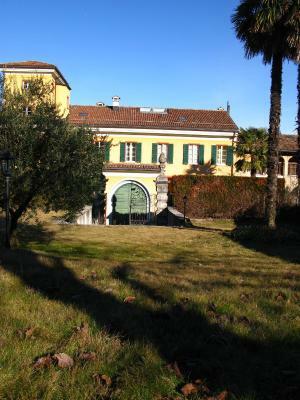 This property also has one of the top-rated locations in Novazzano! Guests are happier about it compared to other properties in the area. 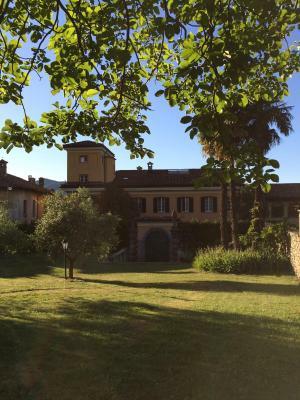 This property is also rated for the best value in Novazzano! Guests are getting more for their money when compared to other properties in this city. When would you like to stay at Guesthouse Castello di Brusata? House Rules Guesthouse Castello di Brusata takes special requests – add in the next step! Guests are kindly requested to inform the property in advance of their estimated time of arrival. This can be noted in the Comments Box during booking or by contacting the guest house using the contact details found in the booking information. Please note that all rooms are located on the third floor of a building without a elevator. 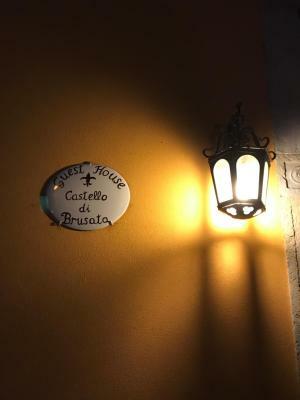 Please inform Guesthouse Castello di Brusata of your expected arrival time in advance. You can use the Special Requests box when booking, or contact the property directly using the contact details in your confirmation. You do not have any breakfast / lunch options until 19:00. Only breakfast of hotel.